A Swedish crime writer as thrilling as Mankell, a detective as compelling as Wallander . 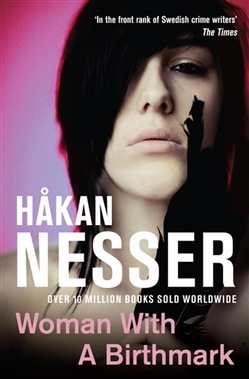 . . Woman with Birthmark by Håkan Nesser is the fourth title in his atmospheric Van Veeteren series. A young woman shivers in the December cold as her mother's body is laid to rest in a cemetery. The only thing that warms her is the thought of the revenge she will soon take . . . Then a middle-aged man is killed at his home, shot twice in the chest and twice below the belt. He had recently received a series of bizarre phone calls where an old song is played down the line – evoking an eerie sense of both familiarity and unease. Before the police can find the culprit, a second man is killed in the same way. Chief Inspector Van Veeteren and his team must dig far back into each man's past – but with few clues at each crime scene, can they find the killer before anyone else dies? Woman with Birthmark is followed by the fifth book in the series, The Inspector and Silence. Acquista Woman with Birthmark in Epub: dopo aver letto l’ebook Woman with Birthmark di Hakan Nesser ti invitiamo a lasciarci una Recensione qui sotto: sarà utile agli utenti che non abbiano ancora letto questo libro e che vogliano avere delle opinioni altrui. L’opinione su di un libro è molto soggettiva e per questo leggere eventuali recensioni negative non ci dovrà frenare dall’acquisto, anzi dovrà spingerci ad acquistare il libro in fretta per poter dire la nostra ed eventualmente smentire quanto commentato da altri, contribuendo ad arricchire più possibile i commenti e dare sempre più spunti di confronto al pubblico online.